A stage performance in English. Kyōgen ("mad words" or "wild speech") is a form of traditional Japanese comic theater which was historically performed as an intermission between Noh plays and is thought to have originated before the 14th century. Join us for a rare and hilarious day with the Theatre of Yugen, while we see two traditional Kyōgen plays performed in English. Learn about the history of Kyōgen, and observe a costume change on stage. The Theatre of Yugen is a San Francisco-based non-profit formed to present as genuine a Kyōgen experience as one can get while still seeing the plays in English. 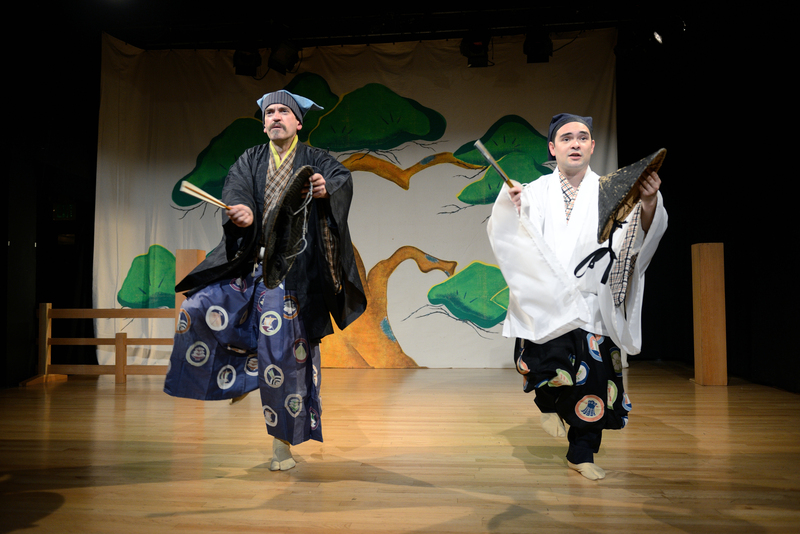 It is the only theater company in the world that performs Kyōgen in English. Nick Ishimaru is Artistic Director of the Theatre of Yugen. Nick received his B.A. in Performing Arts from Colorado State University and his Masters in Drama from San Francisco State University. He has trained in Noh and Kyōgen for over seven years, and has studied Kabuki, Jingju (Beijing Opera), and Nihon Buyo (traditional Japanese dance). Nick has also taught college-level master classes on Noh and Kyōgen. Lluis Valls has studied Noh, Kyōgen, Butoh, and clowning. He is a graduate of San Francisco State University and served as Joint Artistic Director at Theatre of Yugen from 2002 to 2008.